Phone Box&letterbox salt&pepper. A bit of UK at your table with some of the emblems of the city, the phone box and post box red. Badges and some history on your table. 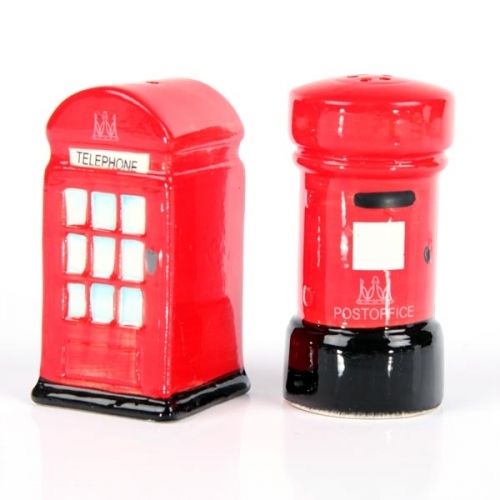 If you like the English, this salt-pepper makes a phone booth and a mailbox. - The cabin was designed by Sir Gilbert Scott, and the first was built in 1920. - There are about 100,000 mailboxes in the UK. The first appeared in London in July was 74.